﻿ ﻿ ﻿ We specialize in thorough, gentle oriental rug cleaning of your fine oriental rugs as well as any type of area rug, at C. Harb's Rugs in Jacksonville, FL. 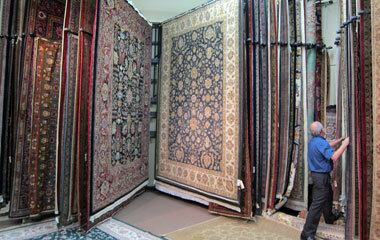 Harb's Rugs is a full service oriental rug business. We are the third generation of one of the oldest and most respected names in the field. Our showroom offers some of the most beautiful rugs in the world. We appraise rugs, and stock the finest nonskid pads. We specialize in traditional and unusual pieces, with an eye toward complementing color and fashion trends. We also have a large stock of round rugs and unusual sizes, like squares. C. Harb's Rugs is proud to offer the finest cleaning service in our part of the country. We "detail" rugs, and our customers rave about the quality of our work. We often remove or make less obvious even old stains deemed permanent by previous cleaners. 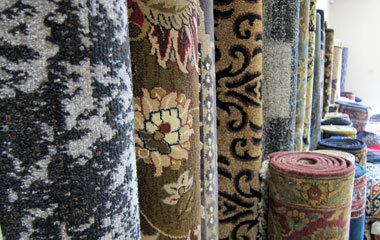 We provide all types of expert repair for rugs, and nonskid pads for all types of flooring. We offer stain-proofing particularly suited for wool, and a moth deterrent for wool, both of which will not affect the color or texture of the rug.